Hare was born in Birmingham in 1871 and started his career playing for youth sides Warwick County and Birmingham United. 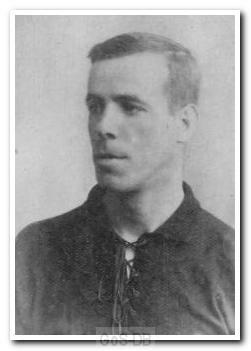 In 1891 he joined Aston Villa and scored 13 goals in 25 appearances over the next three years, also helping the club win the League Championship in 1894. A centre-forward who could play at inside or outside-right, he moved on to Woolwich Arsenal later that year and scored seven times in 19 games for the club. He then spent two years with Small Heath and a similar length of time at Watford, having a respectable goalscoring record for both clubs. Hare's career was then interrupted as he fought in the Boer War, after which he joined Argyle before the club turned professional, primarily as a coach. He made just a few appearances during the first season of League football at Home Park and was released in 1904, going on to play for local side Green Waves and also a brief spell with Fulham.